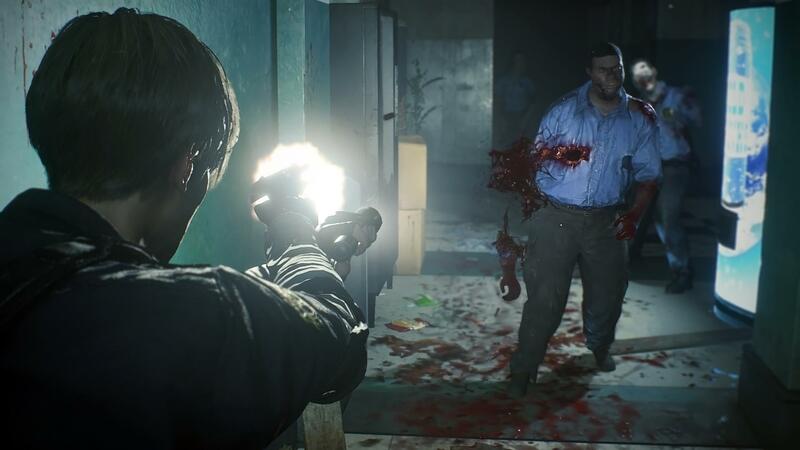 At PAX West, the Capcom team continues to deliver on their hard-pressed lineup, including the from-the-ground remake of Resident Evil 2. Go back and play the remake of the first Resident Evil game and you’ll probably have feelings akin to playing 007 Golden Eye on the N64: awkward camera angles and death-rendering controls subduing the wistful enjoyment of nostalgia. This is why the developers at Capcom decided to build the remake of Resident Evil 2 from the ground up—and it shows. What should be said, first, is that this is not a simple rehashing or remake. Yes it does follow the same level design and narrative, but it is still a new game. While the remake for the first Resident Evil did shift the series graphically, it did not truly improve the controls or camera—two major factors that severely affect its playability in contrast with modern titles and make is frustrating to play today. The camera angles were fixed and did not follow the player and the controls were limited because of that. Smooth gameplay, after all, is an expectation born from the natural evolution of games; unfortunately, this means that it can be difficult to go back and play older titles. Even with the trend of remastered games, the limitations of past developmental technologies cling to them leaving much to be desired. Luckily, frustrating to play is not a feeling we left with after playing the demo at PAX West. 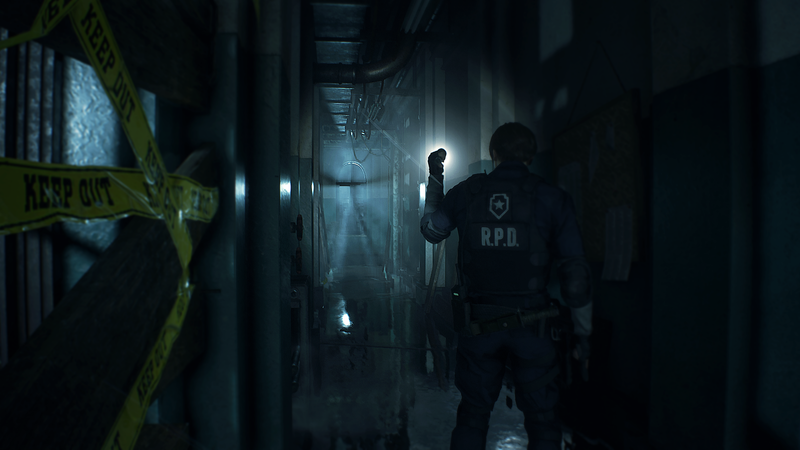 In the demo, you play as Leon, entering a building in Raccoon City following the outbreak of the T-Virus. His facial expressions share the same youth as the previous title, but there are significantly more details—the subtle nuances in his face and gestures noticeable with the upgrade to 4k. His hair—even more striking as the magic of 60 fps flows through his locks. The line of sight is limited to his flashlight, exposing only a small portion of the environment. Dust speckles in the light, glimmering blood stains the walls, and darkness shrouds all else. The unknown—what is to be feared—inundates him with the sounds of breathing and footsteps, and I find myself filled with the kind of doom and gloom so well evoked from the Silent Hill titles. Updated graphics are not the only part of Resident Evil 2 that were recreated. Building this title from the ground meant that Capcom was able to utilize all the modern tools available, drastically improving camera angles and controls. Leon moves and aims fluidly, the camera following him and zooming when necessary to take aim at the undead. These two changes make the game a novel experience, even for veteran players. One thing that Capcom held to, despite remaking the game, was the heart what the first two Resident Evil titles were all about: evoking horror. Leon moves slowly. Resources are limited. Spaces are cramped, and corners are dark. Zombies are slow but difficult to kill. There is a sense of hopelessness and vulnerability as you wander the level in attempt to solve the same puzzles from the original game. In a way, part of me thinks this is what the original developers hoped for. What they wanted to achieve if engines were capable of it at the time. The feeling of dread and anxiety is amplified by the combination of holding to the formula of the original game and simply updating the technology from which it is built. When the player encounters zombies they can see their hollow eyes and a facial expression that reflect a horrifying and gory soullessness. From the lighting and combat to the improved graphics and nostalgic gameplay, this is a new survival horror experience that utilizes a tried-and-true formula we’ve wanted all along for fans both old and new. Resident Evil 2 will be release January 25th, 2018 on Xbox One, PS4, and PC. Katy Goodman is a freelance writer and English teacher. When she isn't busy writing and training horses or composition students, she can be found playing games, researching rhetoric and linguistics, or climbing trees; sometimes all of those things may happen at the same time. She holds an MA in Rhetoric and Composition and has been published on various sites including Kotaku, Cinema Blend, Gameranx, and Match.com. Follow her on twitter @InvizzyB or on her blog ProcessofThoughts.com.